Australia is home to some of the world’s leading universities and researchers. It’s partly because we have welcomed researchers from all over the world to pursue their careers with us, whether in the life sciences, natural sciences, ­social sciences, humanities or ­creative arts. This commitment to openness is now under threat by the federal government’s proposals for replacing the 457 visa scheme. But let’s not rush into changes that could have deeply problematic and perhaps unintended effects. It would be a terrible outcome if we undermined one of our great strengths: not only of our higher education system but also our ­society as a whole. There are two significant ­problems with the announced proposals. First, the government is removing a host of occupations — such as life scientists, civil engineers, microbiologists, archeologists and historians — from the sponsored occupation list. We need to understand if this will include university lecturers and researchers. It would be devastating to our recruitment efforts if so. In some disciplines, given the training required and the global demand for research talent, a high proportion of our staff comes from overseas on those visas. At the University of Sydney we have more than 300 staff that fit this category. To suddenly make ­Australia a difficult place to recruit to would undermine the long-term strength of our research and innovation system. Second, it is proposed that a visa holder have at least two years’ work experience in the relevant area. This is one of the current criteria for a 457 visa, unless you are armed with a specific formal qualification such as a PhD — but this has been removed. This change, combined with much stricter limits on the length of time a visa holder can stay in ­Australia, risks cutting off a vital pathway for the best young researchers to come to Australia. It would make recruiting the best international postdoctoral fellows extremely difficult. I should know. I am a beneficiary of Australia’s tradition of openness. 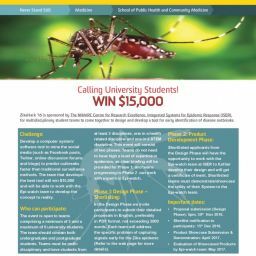 As a young Canadian, finishing my PhD in London, I was offered a post­doctoral fellowship at the Australian National University, in the research school of social sciences. It was an opportunity for which I remain eternally grateful. I arrived (on a working visa) to find myself part of a world-class research environment, working alongside Australian, American, German, Chinese and Israeli colleagues, all of us pushing each other to do the best work possible. And here I am, almost 25 years later, still in ­Australia, hopefully paying back some of that original, remarkable generosity. Research is a global enterprise. The republic of letters and the pursuit of scientific discovery know no boundaries except the limits of human understanding. The best universities thrive on a constant injection of new ­talent and intellectual energy. In Australia, this means recruiting young Australian scholars — many of whom we attract back home from leading universities abroad — but also colleagues from around the world. There are three reasons these changes are a bad outcome for all of us. First, young researchers are the lifeblood of our universities and innovation system. They bring new ideas, new approaches, fresh perspectives and energy to our shores. They will often do their best work, make new discoveries, and create new patents and technologies during their time with us. This lifts the performance of our universities in global rankings and helps support a $20 billion ­export industry for international education. They also form a deep bond with Australia, even long after they leave and pursue their careers elsewhere. They become our greatest ­ambassadors and open up opportunities for other Australians in the process. Second, we need the specialist skills of young (and not so young) researchers that can’t be found — at least not yet — at the scale required in Australia. This is true in some of the most cutting-edge areas that have the most potential to create new industries and jobs in Australia; for example, in ­quantum computing, artificial intelligence and biomedical engineering. These researchers will train and grow teams here. It’s not about competing for Australian jobs but about creating new knowledge and technologies that, across time, will also create new jobs and industries. We are ­training more young Australians than ever, but we will still need to attract global talent to succeed. Finally, we have an extraordinary opportunity to make Australia the destination for the most outstanding, dynamic and innovative researchers and entrepreneurs from around the world. The government has embraced a bold innovation agenda. It has asked our universities, industries and government dep­artments to work more col­laboratively to create the new industries of the future by harnessing the knowledge creation and talents of our people. This contrasts with a world that, in many parts, is building walls, ­restricting movement and backing away from science and open debate. Of course, it’s important that our immigration system has integrity. If there are companies or institutions rorting our working visa processes, this needs to be ­addressed. Australians have every right to expect that the jobs being created today and in the future will be available for them and their children. But making it almost impossible for foreign researchers — especially young researchers — to come to Aust­ralia and make it their home undermines the conditions on which our success as a ­country depends. Duncan Ivison is deputy vice-chancellor (research) at the University of Sydney. 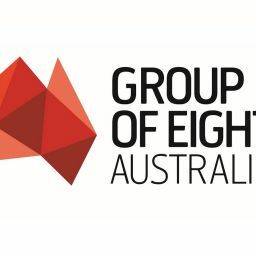 Go8 Media Release: Smart membership decisions ensure Council for International Education can “hit the ground running”.